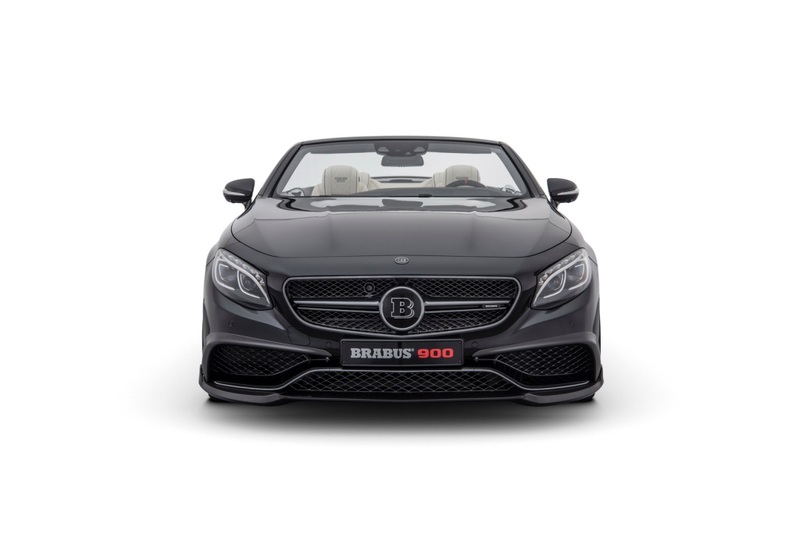 BRABUS ROCKET 900 Cabrio: Under this label, BRABUS (Brabus-Allee, D-46240 Bottrop, phone +49 / (0) 2041 / 777-0, fax +49 / (0) 2041 / 777 111, Internet www.brabus.com) presents the new fastest and most powerful four-seater convertible in the world as a world premiere at the IAA 2017 in Frankfurt am Main. The new supercar is built based on the Mercedes S 65. The heart of this luxurious two-door car is the BRABUS ROCKET 900 6.3 V12 twin-turbo increased-displacement engine with an output of 662 kW / 900 HP (888 bhp) and a peak torque of 1,500 Nm (1,106 lb-ft). 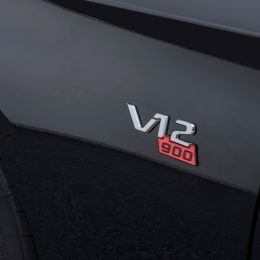 It propels the 2+2-seater from rest to 100 km/h (62 mph) in just 3.9 seconds. The top speed is in excess of 350 km/h (217 mph). 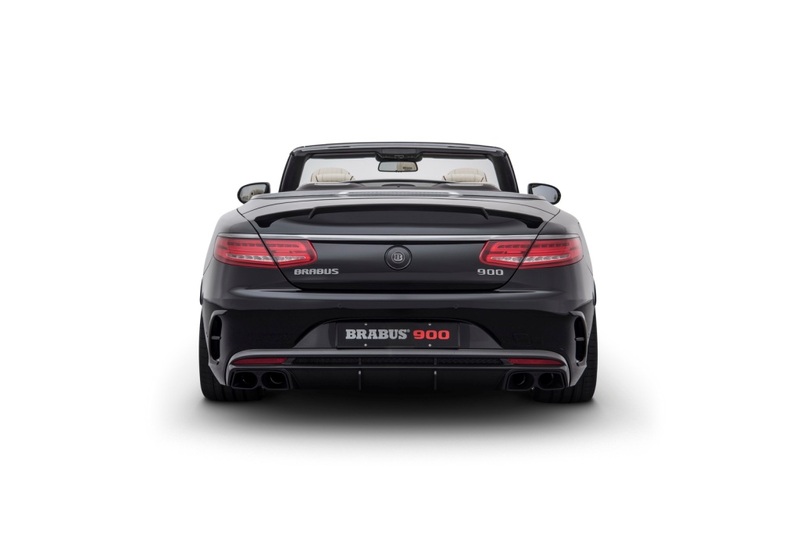 Of course, the BRABUS ROCKET 900 Cabrio thrills not only on account of its unique performance. 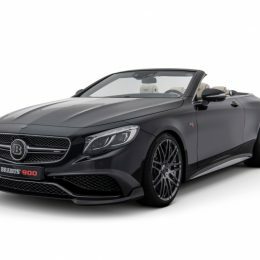 Just as extraordinary are the sporty-elegant looks with naked carbon aerodynamic-enhancement components, the 21-inch hi-tech forged wheels and the equally individual and stunningly finished BRABUS fine leather interior. 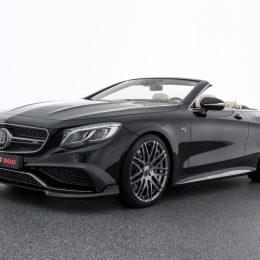 As the fastest four-seater convertible, this supercar keeps the Blue Ribbon in the family: The fastest representative of this fraternity before was the BRABUS 850 6.0 Biturbo Cabrio based on the Mercedes S 63 4MATIC. The new open-top high-end supercar got its name from the BRABUS ROCKET 900 6.3 V12 twin-turbo increased-displacement engine that powers it. 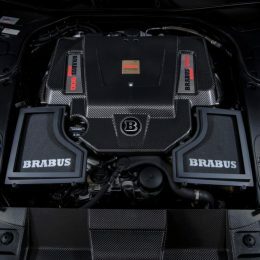 The high-performance power unit is based on the 12-cylinder engine of the S 65, and is built in the state-of-the-art engine shop in the BRABUS plant in Bottrop. The most complex operation on this engine is the displacement increase from standard 6.0 to 6.3 liters (366 to 384 cu in). To this end, the 12-cylinder is fitted with a billet-steel BRABUS special crankshaft with longer stroke. In addition, the cylinder bores are enlarged and matching forged pistons and precision-balanced billet-steel special conrods are installed. The engine peripherals are just as elementary for the performance increase. They have been redesigned in many aspects. Special exhaust manifolds with turbochargers featuring a larger compressor unit and turbine replace the production turbos. 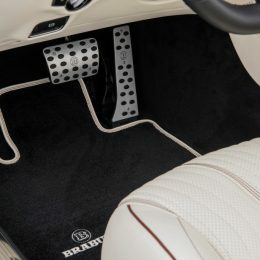 The conversion also includes larger down pipes with a diameter of 80 millimeters (3.1 in), a BRABUS high-performance exhaust with actively controlled exhaust flaps, and free-flow metal catalysts. The intake side was also completely revised. It provides the engine with a generous helping of additional combustion air. 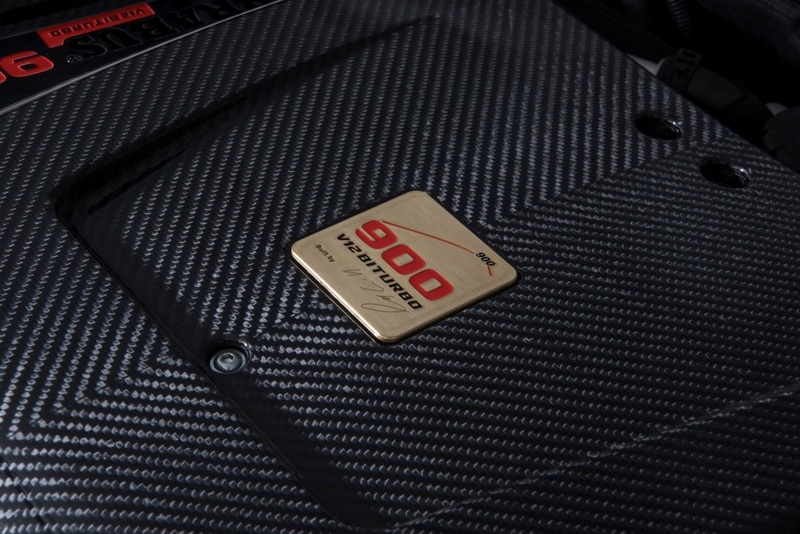 To this end, the BRABUS power unit engineers developed the BRABUS 900 intake module, which draws its air directly from the radiator grille through an air duct in the hood. The new intake manifold also includes a special air filter box with larger intake cross-section and special filters, as well as “Gold Heat Reflection” sheathing for the intake pipes, which lowers the temperature to enhance performance. 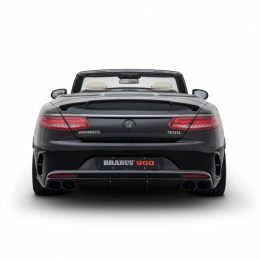 The BRABUS electronics specialists conducted extensive testing on test benches, racetracks and public roads to program new mapping for injection, boost pressure control, and ignition. 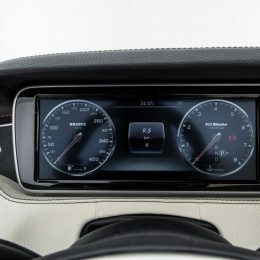 The new engine control system coordinates the perfect interaction of the high-performance components, ensuring not only maximum power, but also outstanding smooth-running as befits a V12. 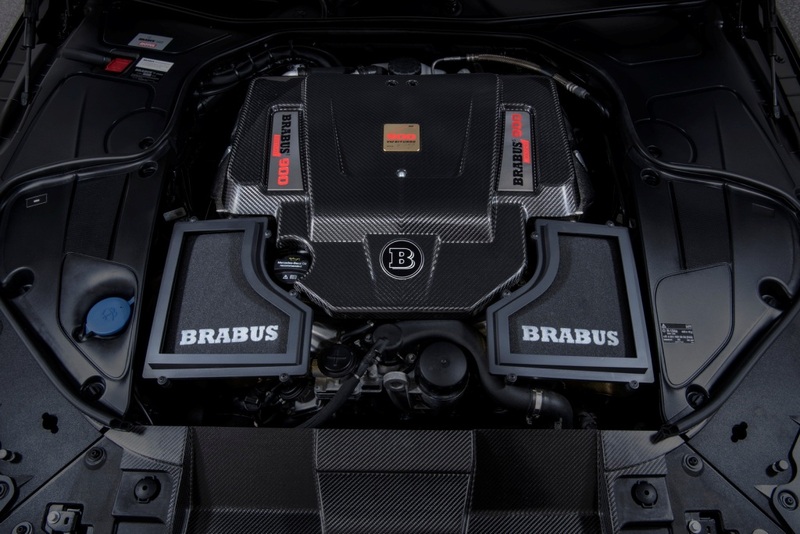 In addition, the engine specialists equip the supercar with the BRABUS Stop/Start Memory system. This module stores the most recently selected position of the standard start/stop system and keeps this mode active even after an engine restart or a change of the driving mode. MOTUL supplies the high-performance lubricants for the entire powertrain. 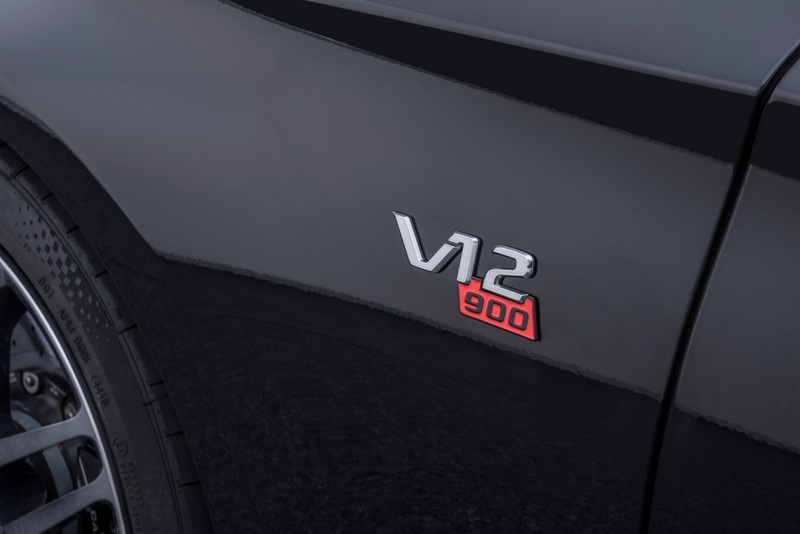 The elaborate conversion to the BRABUS ROCKET 900 6.3 V12 twin-turbo engine results in unparalleled performance figures: At a low 5,500 rpm, the engine pumps out 662 kW / 900 HP (888 bhp) of peak power. Even more gigantic is the peak torque of 1,500 Nm (1,106 lb-ft) at 4,200 rpm. In the vehicle, peak torque is electronically limited to 1,200 Nm (885 lb-ft). The power is channeled to the rear wheels by a seven-speed automatic transmission modified to handle the tremendous power, and a BRABUS high-performance limited-slip differential with a locking rate of 40 percent. Thanks to the BRABUS RACE aluminum paddle shifters on the steering wheel, the transmission can also be shifted manually. 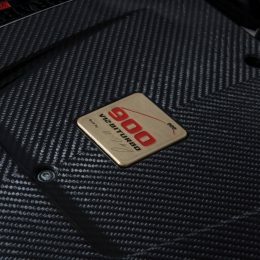 This power unit makes the BRABUS ROCKET 900 Cabrio the world’s fastest and most powerful street-legal open-top four-seater. 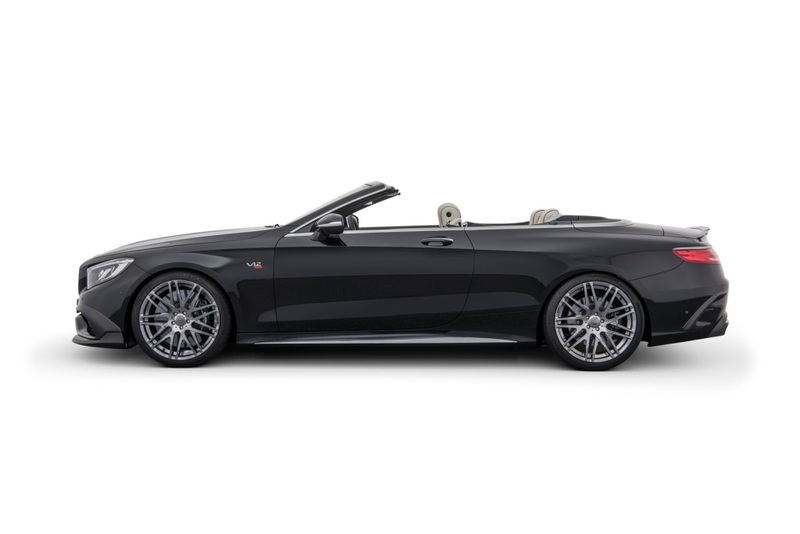 From rest, the luxury convertible reaches a speed of 100 km/h (62 mph) in just 3.9 seconds. The top speed is in excess of 350 km/h (217 mph). 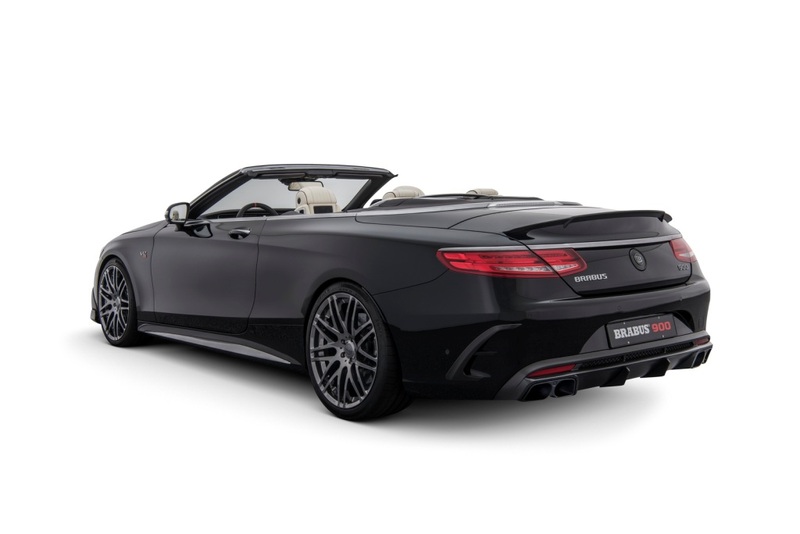 The unparalleled performance is accompanied acoustically by a symphony of power: The ex-factory BRABUS sport exhaust system with actively controlled exhaust flaps can change the sound of the turbocharged V12 quasi from Dr. Jekyll to Mr. Hyde. 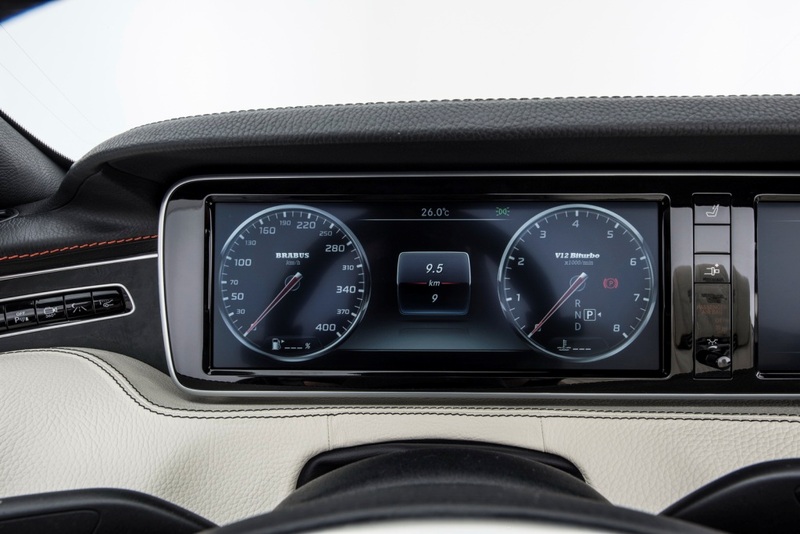 The active sound management is controlled with a button on the steering wheel. The driver decides whether to operate the open-top supercar in an inconspicuous, quiet ‘Coming Home’ mode or whether he wants to enjoy a markedly powerful 12-cylinder sound in the ‘Sport’ position. These tremendously high rates of speed place of course especially high demands on the aerodynamic-enhancement components, which were developed by the BRABUS designers in the wind tunnel. The bodywork components, which are available for all S 63 and S 65 Coupe and Cabriolet models, are manufactured with a naked carbon finish. Customers have the option of ordering these components with a matte, or as on the show car at the IAA, with a high-gloss protective coating. 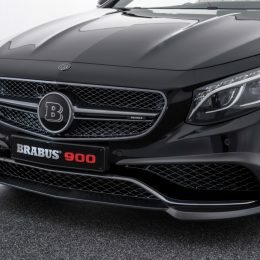 The BRABUS front spoiler attaches to the front bumper and lends the two-door car full-blooded racing looks. It also reduces front axle lift at high speeds for further improved handling stability. Tailor-made carbon surrounds highlight the large air intakes on the left and right in the front bumper even more. Naked carbon covers for the door mirrors add further sporty highlights. 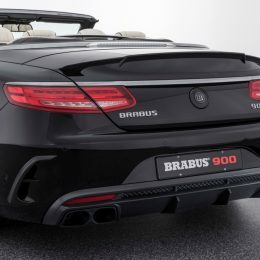 The rear end of the open-top luxury car is also upgraded visually: The BRABUS carbon diffuser provides the perfect backdrop for the two dual ceramic tailpipes of the BRABUS sport exhaust system. 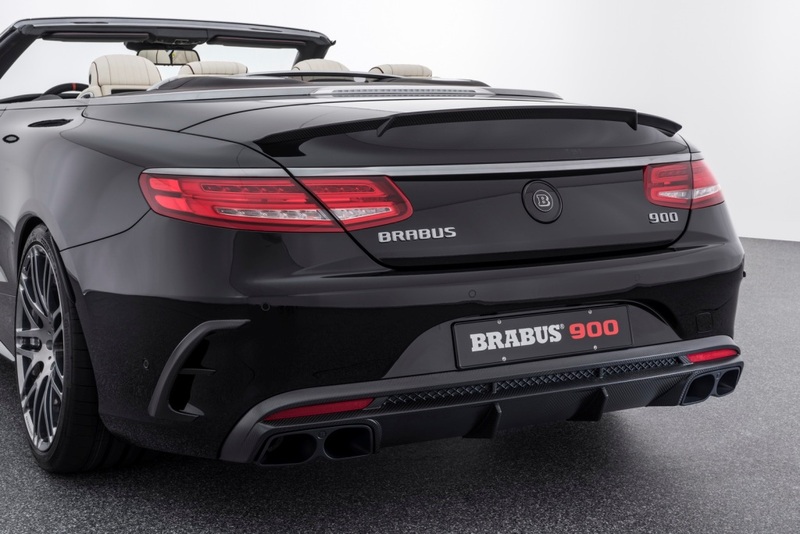 The BRABUS carbon rear spoiler on the trunk lid ensures balanced aerodynamic properties at the front and rear axle. The carbon attachments for the side air vents in the rear bumper round off the sporty lines perfectly. 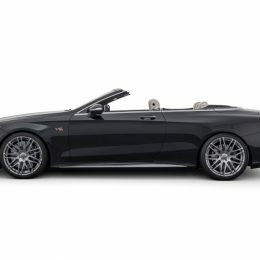 Thrilling design, maximum quality and further enhanced driving dynamics are the outstanding traits of the BRABUS Monoblock wheels, which are available for the Mercedes S-Class Cabriolet in different sizes from 18 to 22 inches in diameter. 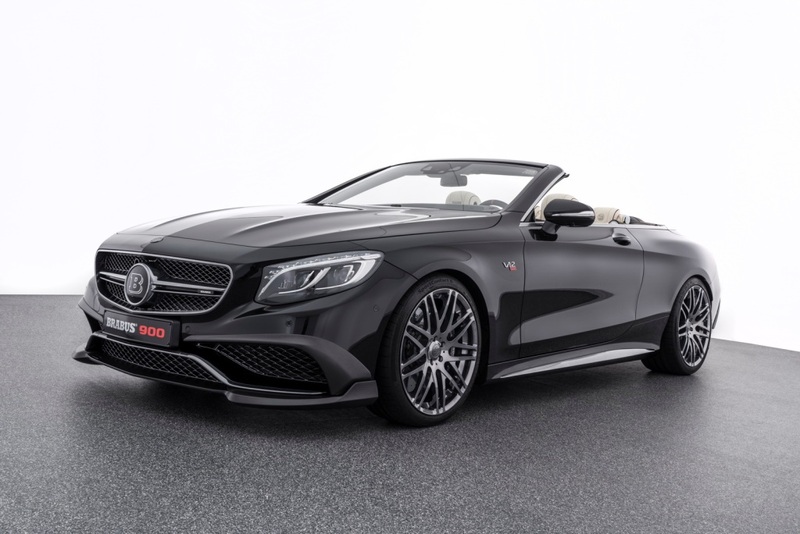 To be able to make full use of the tremendous top speed of the BRABUS ROCKET 900 Cabrio, the supercar is equipped with BRABUS Monoblock “PLATINUM EDITION” 21-inch forged wheels available in various designs. By being manufactured using state-of-the-art forging technology, they offer an optimal combination of maximum strength and lightweight design. In sizes 9Jx21 on the front axle and 10.5Jx21 at the rear, they make perfect use of the existing space under the wheel arches. Continental high-performance tires of sizes 255/35 ZR 21 at the front and 295/30 ZR 21 at the back are mounted as the optimal solution. The show car on the IAA stand is fitted with BRABUS Monoblock F “PLATINUM EDITION” wheels, which were painted ‘Shadow Grey’ for contrast. 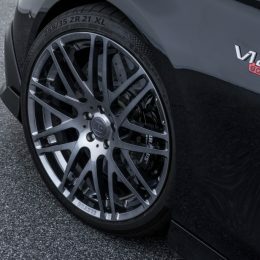 A BRABUS 22-inch tire/wheel combination is available as an even more king-sized option. The BRABUS Monoblock G “Platinum Edition” forged wheels are mounted in the combination 9Jx22 with size 255/30 ZR 22 tires on the front axle and 10Jx22 with size 295/25 ZR 22 tires at the rear. 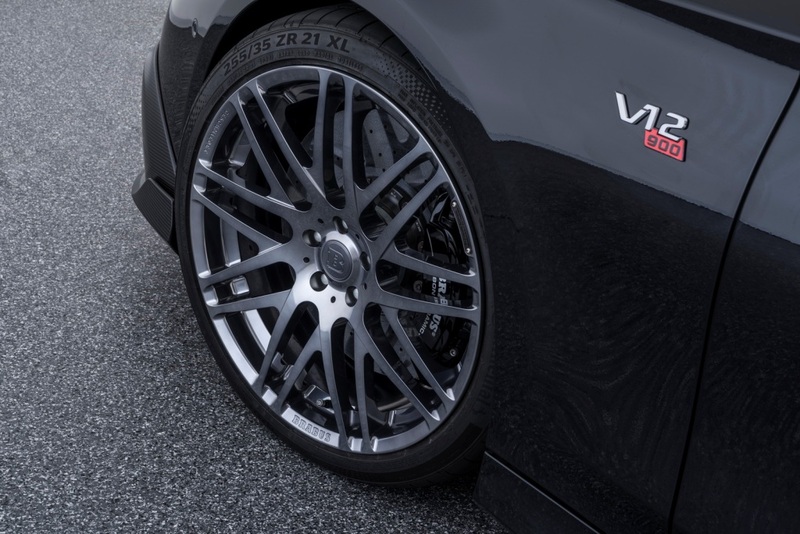 The BRABUS lowering module is calibrated to these ultra-low-profile tires. It lowers the ride height of the open-top 2+2-seater by about 15 millimeters (0.6 in). 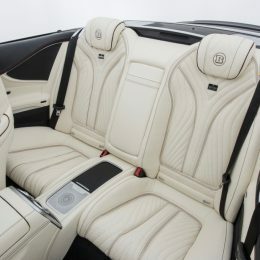 BRABUS of course also refines the cockpit of the S-Class Cabriolet by customer request. 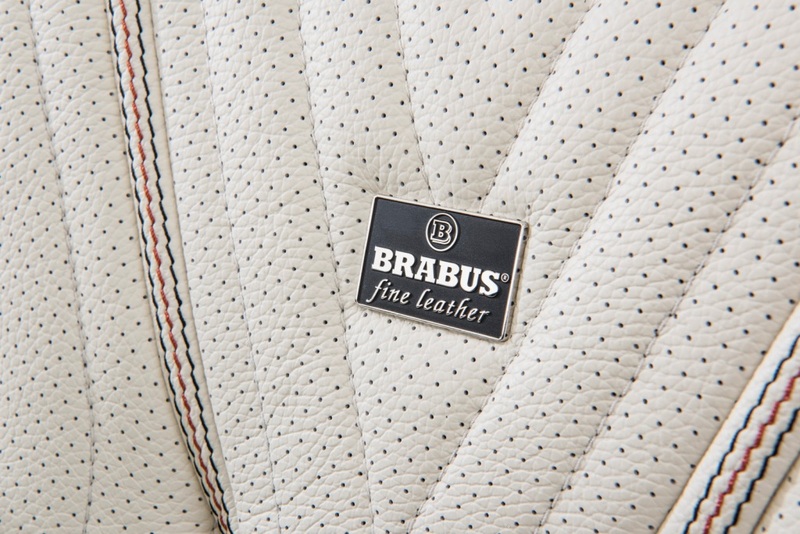 This includes scuff plates with backlit BRABUS logo, whose color can change to match the interior ambience lighting. 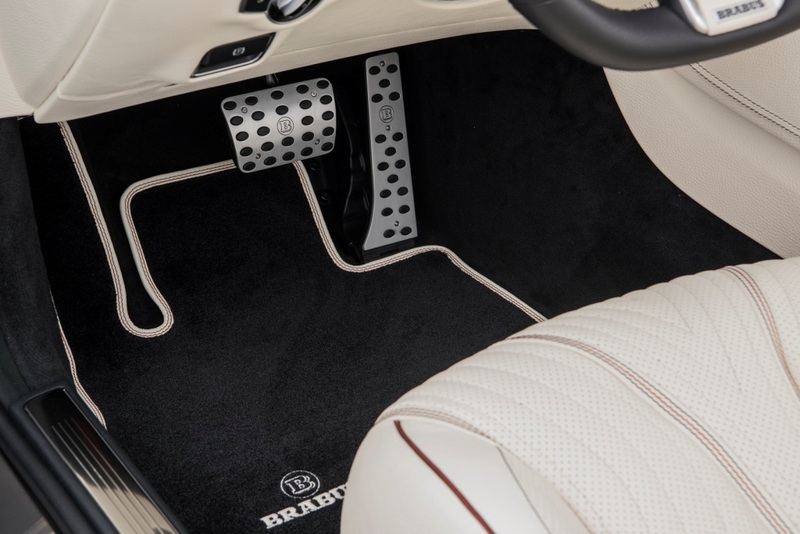 Aluminum components such as the BRABUS RACE paddle shifters, pedals and door pins add decidedly sporty highlights. The BRABUS speedometer with 400-km/h scale (250 mph) reflects the vehicle’s enormous potential. 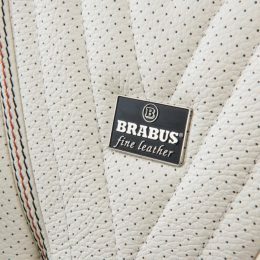 Customer requests for even greater customization are fulfilled by the company upholstery shop with a BRABUS fine leather interior that impresses not only due to its virtually unlimited variety of colors and materials, but also and above all with its outstanding workmanship. 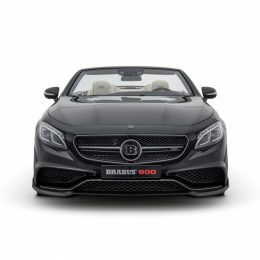 The BRABUS ROCKET 900 Cabrio at the IAA 2017 has a two-tone all-leather interior in a combination of ‘Mondial Vanilla’ and ‘Mondial Black’ leather, contrasting starkly with the paint finish of the body. 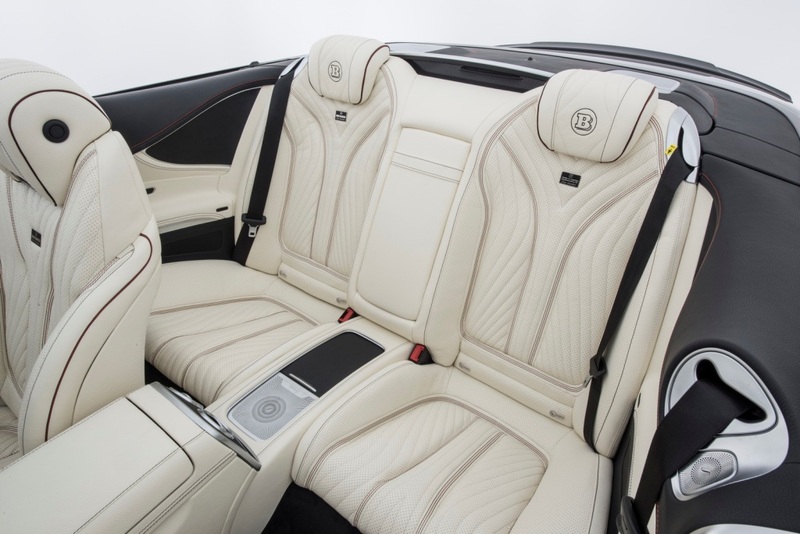 To add even further sophistication to the exclusive interior styling, the seats and side panels feature not only sweeping decorative stitching, but are also highlighted with black and red topstitching in addition. The BRABUS ornamental carpenters working in the interior department replace the production wood inlays and trim strips in the cockpit with tailor-made noble wood components made from black ash wood, which in this vehicle have an open-pore surface finish. 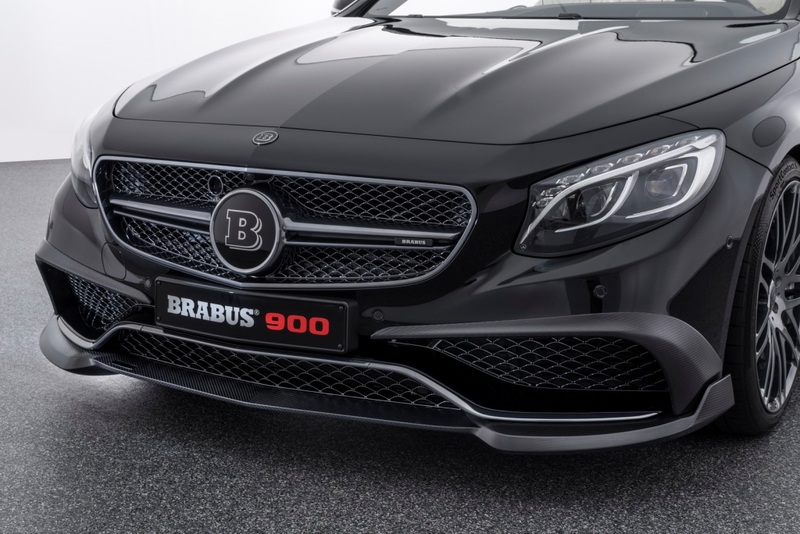 Alternatively, BRABUS also offers genuine carbon components for this model, which come in a wide range of colors and many different variants of protective coating. 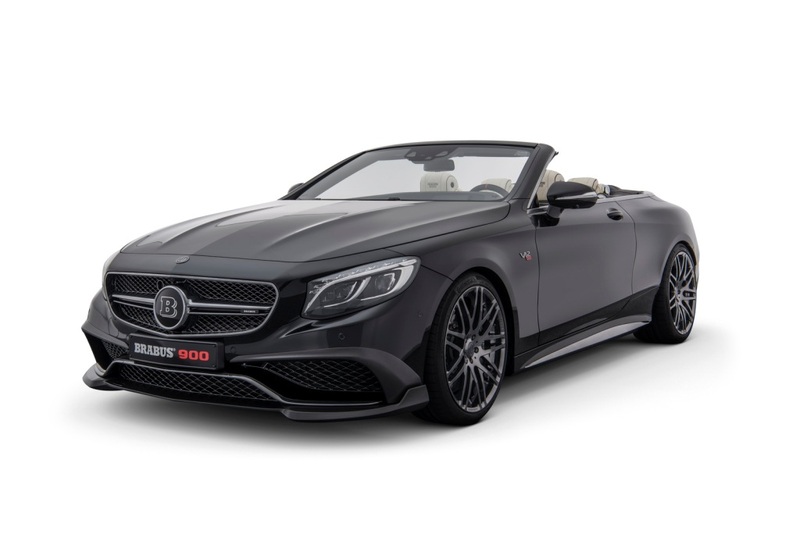 The world’s fastest street-legal convertible is available as a complete car or can be built based on any current Mercedes S 65 Cabriolet. 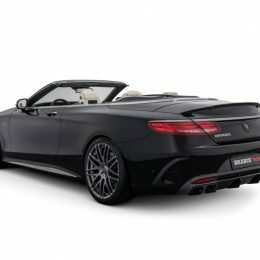 BRABUS ROCKET 900 Cabrio based on the Mercedes S 65 Cabriolet: city 21.6 l/100 km, highway 9.5 l/100 km, combined: 13.9 l/100 km. Combined CO2 emissions: 323 g/km, efficiency class F.